Today's faith heroine is Amy Wilson Carmichael, a missionary to India who devoted her life to caring for orphans. 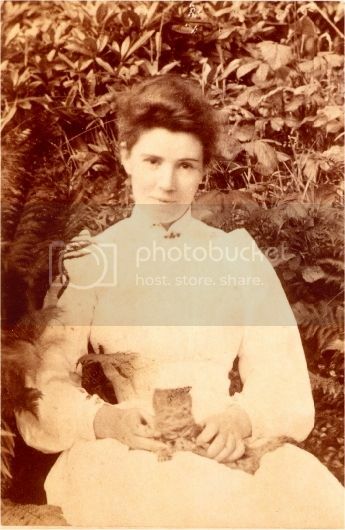 Amy was born in 1867 to Christian parents in Ireland. Six siblings later followed, making for a large family. She went through a time of loneliness, though, when she lost her father at a young age and would go on to face more trials in her lifetime. Looking at her frame and health, you wouldn't think she would be called to missions in another country. She suffered from neuralgia, a disease of the nerves, and was often confined to bed rest due to the pain and aches that spells brought about. However, she heard about missionary life from Hudson Taylor and was inspired to follow the same calling. She first lived in Japan for fifteen months but was soon led to India where she founded Dohnavur Fellowship. Through this organization Amy and others reached out to many children who were neglected, ill-treated, or orphaned. She also rescued young girls from living a life of prostitution in temple worship that was so prevalent in India. Her respect for Indian culture was visible in the simple lifestyle she upheld, though, and the clothing she chose to wear. Her dedication to the calling the Lord gave her was seen in her choice to live in India for the rest of her life and in traveling great distances to save each child. She loved to write and sing songs, publishing thirty five in her lifetime. However, she was injured in a fall in 1931 and was bedridden until her death in 1951. Dohnavur Fellowship, the family and community that Amy founded, is a legacy that continues up to this day. She was called Amma, or "mother" in the Tamil language, and she took this calling to heart. She opened her heart to orphans and young children and cared for them like Christ did. She wrote, "All the paths of the Lord are loving and faithful" (Psalm 25:10). I have pondered this verse lately and have found that it feeds my spirit. All does not mean "all - except the paths I am walking in now," or "nearly all - except this especially difficult and painful path." All must mean all. So, your path with its unexplained sorrow or turmoil, and mine with its sharp flints and briers - and both our paths, with their unexplained perplexity, their sheer mystery - they are His paths, on which He will show Himself loving and faithful. Nothing else; nothing less."